A union for secondary teachers has warned the Government that a new pay deal must include full restoration of €1.4bn of pay cuts "if industrial unrest is to be avoided". The submission by the Association of Secondary Teachers of Ireland to the Public Service Pay Commission, which is advising the Government on its pay policy, lists five things that the next agreement - to be negotiated around May - must include. They are equal pay for new entrants, the full restoration of pay cuts suffered during the financial crisis, an end to working extra hours for free, and the abolition of a pension levy. Finally, it calls for the restoration of pension parity, which would mean that retired teachers' pensions would rise when existing teachers' pay does. It said their pay should not be discounted by 12pc to take account of the value of pensions at talks as a less favourable scheme for new entrants meant the value of their contributions would be higher than their benefits. The union is the only one that has not signed up to the Lansdowne Road deal and members are suffering sanctions including a pay freeze. It described the deal as "seriously flawed" for failing to close the pay gap for new entrants to the public service and underestimating growth in the economy. For the next agreement to be acceptable, it said it must address major grievances, both general and sectoral. 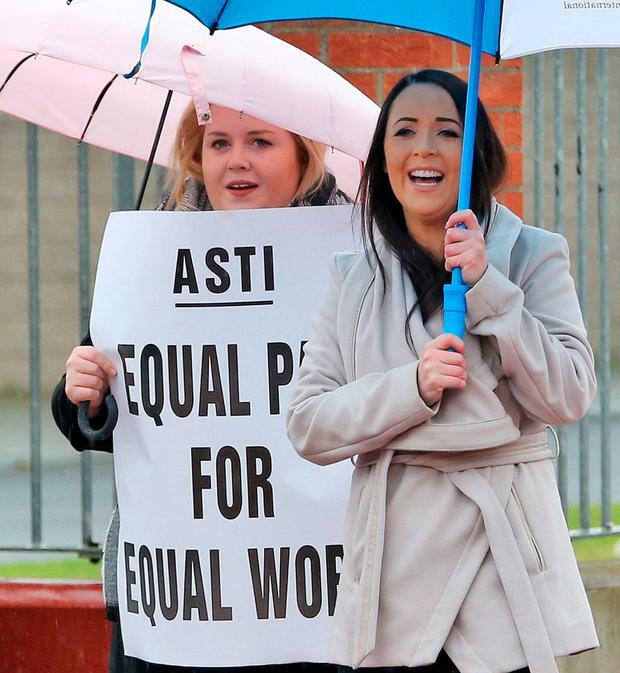 "This is essential if industrial unrest is to be avoided," it said. Meanwhile, the Association of Garda Sergeants and Inspectors said it is extremely disappointed that legislation to give it access to the Workplace Relations Commission and the Labour Court will not be in place until the end of the year. It said it has also been excluded from a working group that will discuss its right to strike.